Sharp fridge freezers offer exceptional storage space, helping you store more fresh and frozen food. They’re also rated A+ for energy efficiency, so you know your running costs are going to be lower. With models offering over 560 litres of usable internal room, Currys have a Sharp kitchen appliance to suit different-sized families – even the largest of households. 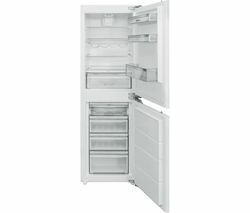 If you need to store more frozen goods, there are fridge freezers offering internal freezer capacities of up to 178 litres. External digital touch controls make using your Sharp fridge freezer smooth and effortless, and twin thermostats give you precise control over the temperature of each compartment. Save yourself time and hassle by choosing a frost free model, while some models feature hybrid cooling systems and plasmacluster ion systems for enhanced hygiene and longer food freshness. You’ll love convenient storage features such as extra egg trays, bottle stoppers and fruit and vegetable containers, and twist and serve ice trays make preparing drinks so much easier and more convenient. 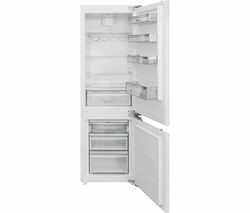 Look through Currys’ exciting range of high-quality Sharp fridge freezers for your ideal appliance.